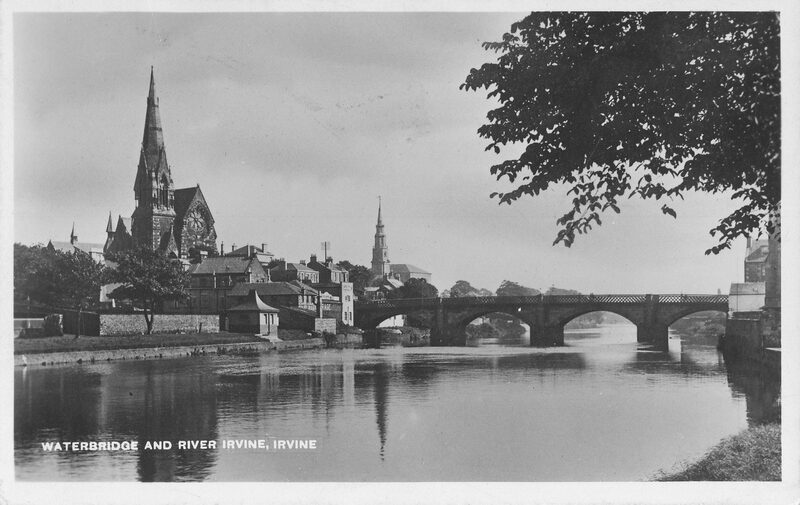 It is presumed that Irvine had a bridge as early as the 13th century, although the first written records of a bridge do not appear until the mid 15th century. It was during the 15th century that Bridgegate was first mentioned, connecting the bridge to the Cross and High Street. Bridgegate originally had an actual set of gates at the bridge mouth which would be closed at night and re-opened every morning. During the 1820s Bridgegate became a fully built up street with shops and houses being built along its length right up to the bridge. This view of Bridgegate dates from the mid 1880s, the large stone at the base of the street lamp was known as a “Loupin Stane” it was used by riders to easily mount their horses. 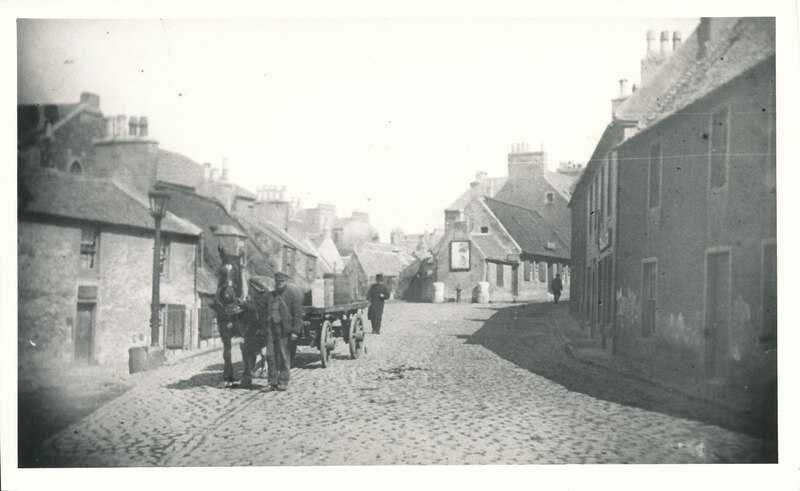 These streets were the towns main thoroughfares for crossing the bridge, as a result there was a large amount of traffic, the building in the centre of the photograph has two large buffers at either side made of concrete to protect itself from cart damage, between these buffers lies a hand pump water well. Looking across the bridge towards the Fullarton district of the town, the church that is visible above the horse and cart in the centre is the Fullarton Parish Church built in 1844. The buildings on the right hand side of the image were built during the 1880s and were later demolished in the 1970s to make way for the Rivergate Shopping Centre and Bridgegate house. 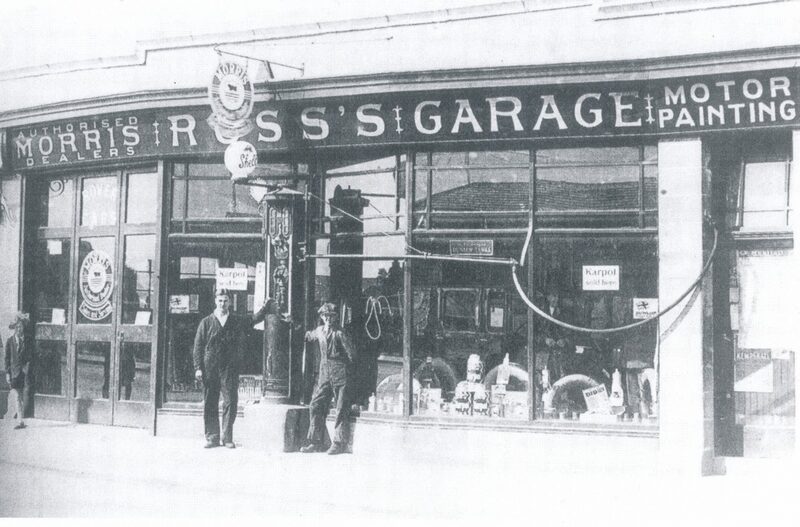 Located on Bridgegate opposite of the Bridgegate Hotel and at the very edge of the bridge itself was a Garage and motor vehicle showroom, the Garage was originally operated as Shaw’s Garage, and from the 1920s it was Ross’s, the building was later used as a furniture warehouse and was eventually demolished in the 1970s to make way for the Rivergate shopping centre.